The practice of the electric bike has packed in recent years, with many novelties that have appeared in the field of mountain biking. 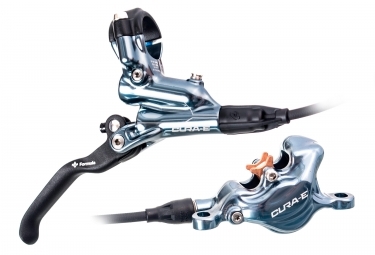 Formula offers a range of revolutionary Cura-E brakes compatible with these bikes, which require a lot of resources especially on the brakes due to their often important weight, comparable to the constraints given on the practice of DownHill. These Cura-E have been specially designed to withstand the requirements, with materials resistant to heat and durable over time. Keeping the control in fast phases in electric bicycle will no longer be random thanks to a construction based on the powerful brakes used in downhill practice. 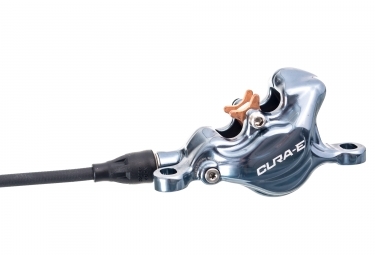 The caliper is built with the latest generation of pistons and brake pads that can withstand powerful and very long brakes, specially designed for the use of an electric bike. 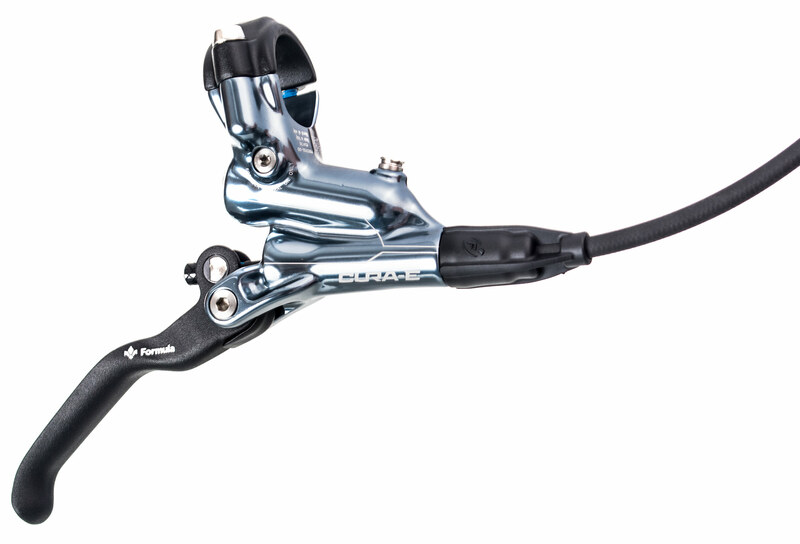 Fully adjustable, its ergonomics allows a fast braking without loss of time with an ease to the high actuation. An electrical connection is present to allow the transmission of a braking signal to your on-board computer, thanks to an electromagnetic sensor encrusted in the lever. This system allows the engine to shut down and informs your system. It is universally compatible on most on-board electric bike bike computers and their system. Speedlock : Allows a quick installation of the hose, ideal for an internal passage, without loss of oil and air intake. Frein Arrière FORMULA Cura-E Pour vélo électrique (sans disque) Bleu Chrome clasificado 4.0 de 5 por 1. Rated 4 de 5 por jptcalvissonvtt de Un bon frein a prix raisonnabe Bonjour j'ai acheté ce produit il y a 1 semaine je suis satisfait du produit pour une utilisation Enduro en 180/180 en terme de freinage. cependant les câbles de liaison vers l' électronique du vélo ne sont pas livré?